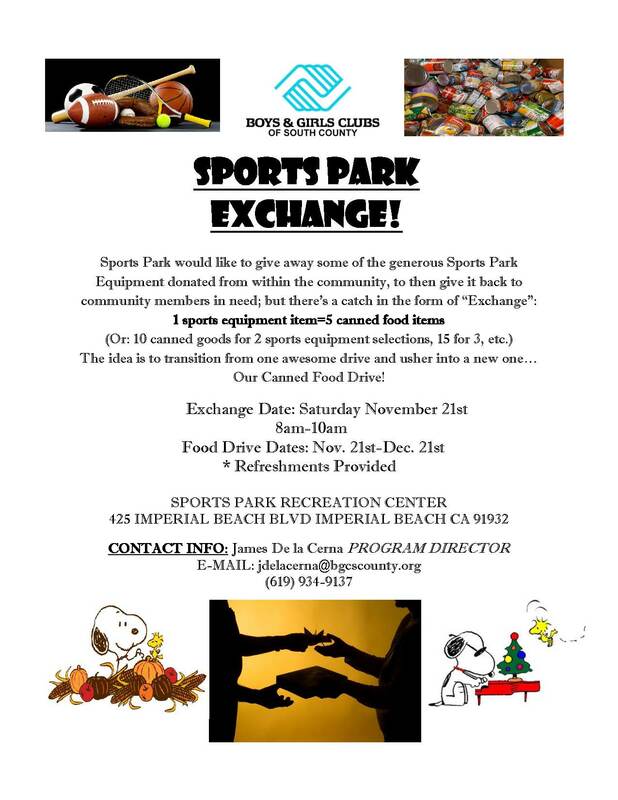 IB Sports Park “Sports Exchange” on Saturday November 21st from 8am to 10am. 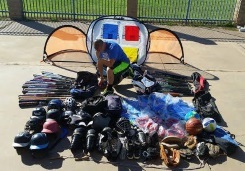 5 Canned Food items gets you one piece of Sports Equipment. 10 canned items will get you 2 pieces of sports equipment and so on! Then through December 21st, at the IB Sports Park, the Boys and Girls Club of South County will be having a canned food drive to help feed the needy.